“Liberty’s chief foe is theology”. Andrew is a local lad and campaigns for the Libertarian Party. 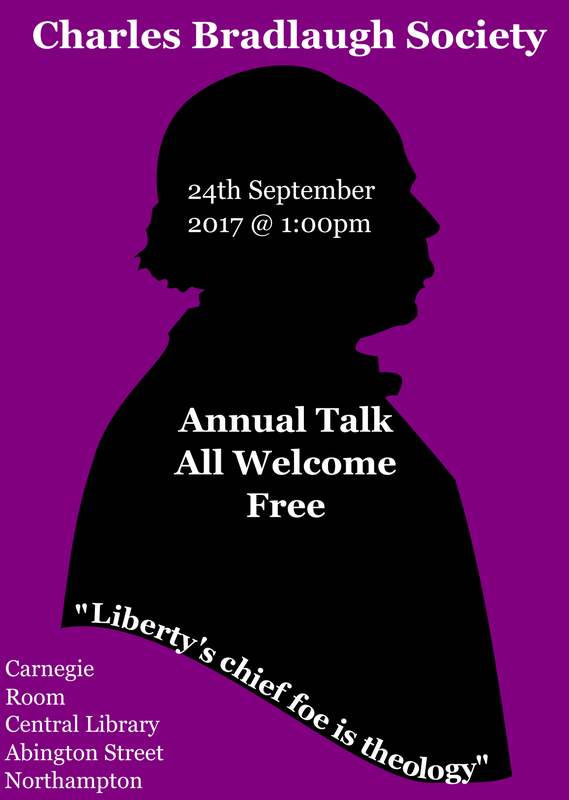 The Talk on Sunday 24 September will be held at a new venue this year, in the Carnegie Room at the town’s Central Library. This is in Abington Street, Northampton. The Talk is free though a donation will be asked for to give to the library. The promotional poster is below and can be downloaded by right-clicking and saving should you be able to promote the Talk. We look forward to meeting old faces and new at this year’s talk starting at 1:00pm.